Juniors Kayla, Sarah, and Grace sold separately. Collect all 4! 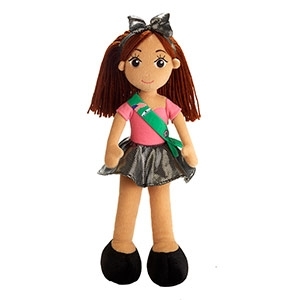 Squishy Turtle Girl Scouts Plush Filigree Trefoil and Pearl Necklace Jingle Bell Bracelet Cookbooks!- S'More Campfire Fun!